The phrase “You have to see it to believe it” has never been truer than with 3D TV, and Panasonic knows consumers will need to do some seeing before they do their believing – and subsequent buying . To pull it off, the company has partnered with Best Buy to get the TVs in front of disbelieving eyes soon. On Monday, the Wall Street Journal revealed that Panasonic will launch its 3D TVs in North America on Wednesday through Best Buy stores, with steep initial discounts all the way up to 50 percent off. That should put 50-inch models at around $2,500, according to the Journal. Although the launch will be widespread, not every Best Buy location will be able to wrangle Panasonic’s 3D showcase. Panasonic will initially focus on “hundreds” of the largest Best Buy locations, to be followed by more than 1,000 later. 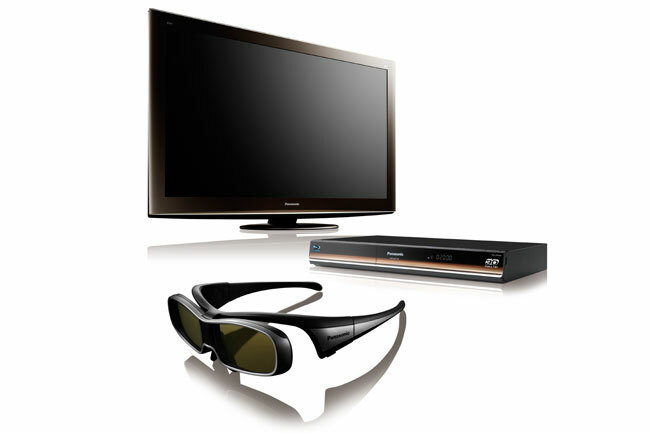 The company has big plans for 3D TV, aiming to move 1 million units in the fiscal year ending March 31, 2011. The decline of plasma popularity has led to red ink for Panasonic’s plasma-centric line recently, and the company hopes to ride the rise of 3D back to the black.